Many people take lots of pics of Bald Eagles but this particular Bald Eagle looks high and mighty upon his perch in a tree in Homer, Alaska. When a Bald Eagle roosts high upon a branch above the chilly waters of Homer, Alaska in the USA not only does he look spectacular but he sits as if he is a king. With his brown body plumage and chest boldly puffed, his snow white colored head and yellow beak, this Bald Eagle knows that he ranks very high in the bird species. Not only is the Bald Eagle very respected by various bird families but humans also find the Bald Eagle as a very important symbol. People in the United States of America respect the Bald Eagle as their living symbol of freedom, spirit and pursuit in excellence as well it has become a very big part in the art, music and architectural world. As this Bald Eagle sits proudly upon his perch, he scans the area of Homer, Alaska in search of anything interesting that may move in case that it means signs of a meal. From heights of approximately 1000 feet, a Bald Eagle can identify prey for a range of about 3 square miles as it has incredible eye sight. If we go back about twenty years, there were only around five Bald Eagles that took flight above Homer, Alaska but today during the winter season you can take pics of about one hundred and fifty bald eagles in this area. There are local residents around Alaska that find these birds of prey to be a nuisance while others find these magnificent creatures a honor to watch on a daily basis. 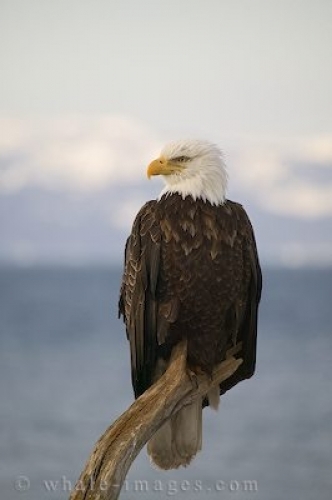 Homer, Alaska is one of the best places to view Bald Eagles as they take flight to the sky, sit in the tree tops or dive to the waters below in search of food. Other great places throughout the world to watch a bald eagle in its natural environment is in Brackendale near Squamish, British Columbia and in Haines in the Southeast region of Alaska. Whichever destination you may be traveling to during the winter season, it is almost guaranteed that you will capture some incredible pics.